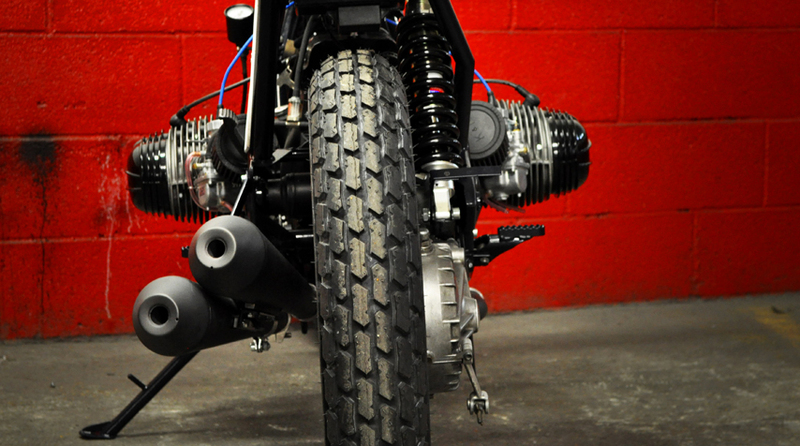 When we retrieved this "BMW R80 GS" from 1981, it was a complete mess. It was not working but worst of all: there was some rust even inside the genuine carburettors. 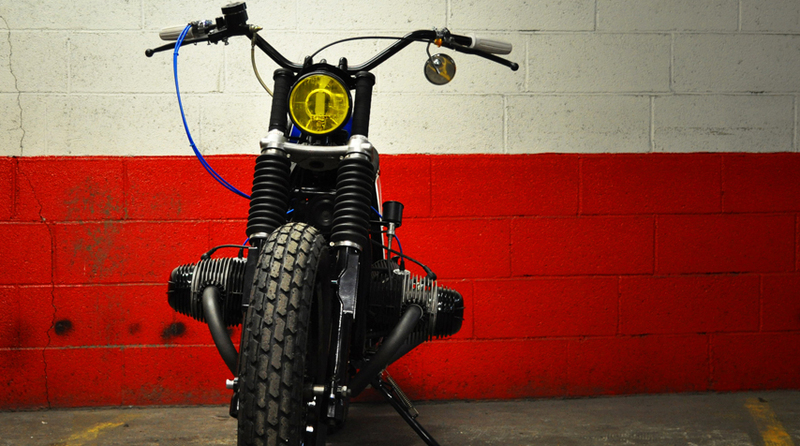 The owner wanted a "tribute to dirt track" motorcycle. Given what we saw in his eyes when he discovered the finished bike, we assume we met his expectations. 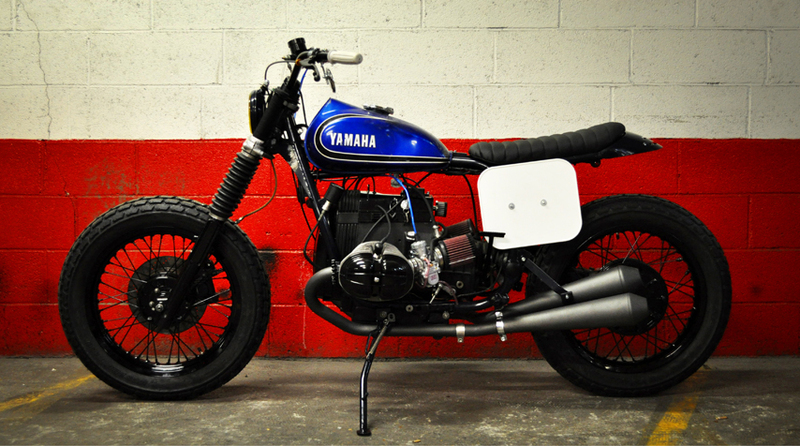 - 100% hand made exhaust pipes + cobalt grey ceramic painting (heat resistant up to 1000°C). 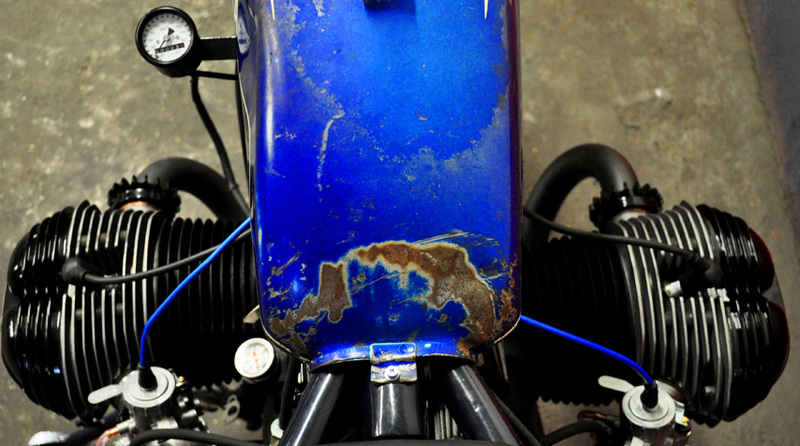 - and yes: the blue throttle hoses have been chosen on purpose. - Dunlop K180 tires both front and rear (the front rim was 18 inches re-sized). 100% hand made front blinkers. Highly inspired by the Speedtractor's ones. With their courtesy. - all engine covers + fork legs + handlebar have been shiny black powder coated. 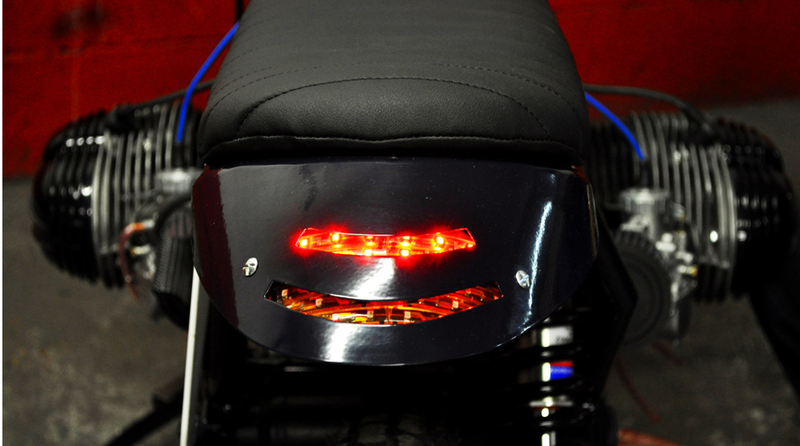 The tail light & braking light have been 100% hand made and integrated in the rear loop.